For a fun last minute treat for any holiday. 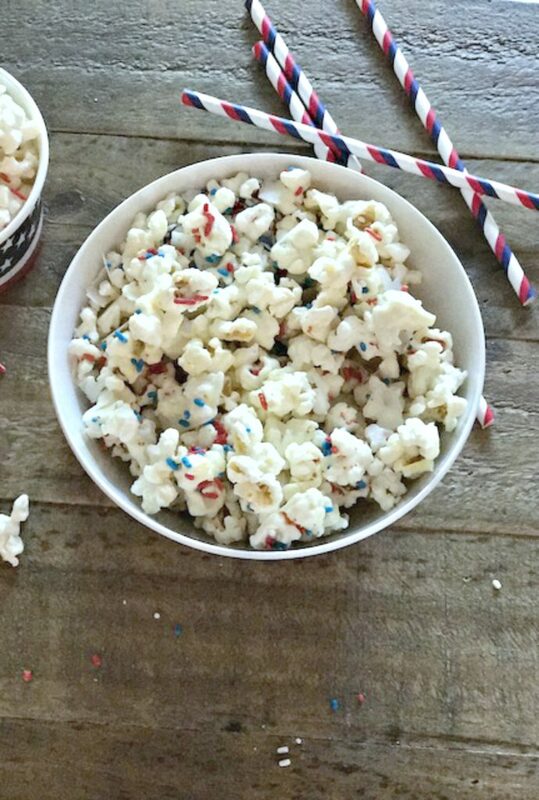 Grab a pouch of microwave popcorn and some sprinkles with whatever chocolate you have on hand. In just a few minutes you have a delicious festive treat family and friends will enjoy that’s just the right taste of salty and sweet. 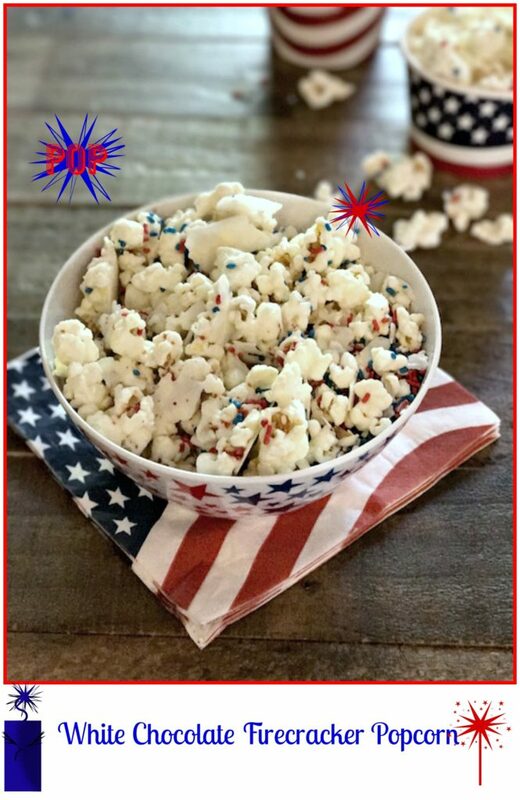 Today we made these a patriotic theme for July 4th. You can change around the sprinkle for any holiday or occasion. Place popped corn on a large cookie sheet (My preference, Rachel Ray) that has been lined with a Silpat or parchment paper. Set aside. Melt chocolate with coconut oil in the microwave for 30 seconds in a glass measuring cup. Mix, place back in for another 2o seconds. Mix again. If needed put back in another 10 to 15 seconds until chocolate is melted and shiny. Pour chocolate over popcorn. Mix with a wooden spoon. If needed spray spoon with cooking spray. Or if chocolate has cooled down a bit. Mix with clean hands. Toss gently. Then toss sprinkles. Let set on cookie sheet in fridge for about 10 minutes. Keep on cookie sheet for another 30 minutes. Break up and place in serving bowl or in goodies bags.